(Donald) Mackay Houstoun (1916-2004) was born in Stevensville, ON. Although he studied under L.A.C. Panton at Western Technical Institute he was, in essence, self taught, developing a very distinctive technique of applying paint with a palette knife. 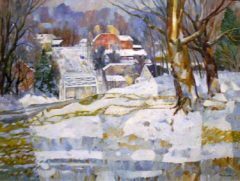 Beginning his artistic career 1937, he would go on to exhibit at Roberts Gallery and the Toronto Arts and Letters Club, becoming a member of the Royal Canadian Academy of Artists, the Ontario Society of Artists and the Canadian Society of Painters in Water Colour. During this time, he maintained a parallel career of Art Director and partner at Art and Design Studios Limited in Toronto. 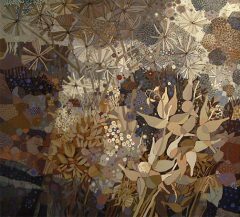 His works can be found in the collections of the National Gallery of Canada, the Art Gallery of Ontario and Hart House, among many other public and private collections across Canada. Born at Stevensville, Ontario, he studied at Western Technical School under L.A.C. Panton and has followed as well, his own self teaching plan. He has been an artist in Toronto since 1937 and is now Art Director and partner in the firm of Art and Design Studios Ltd., Toronto, which employs about 50 artists. 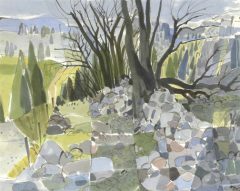 In his painting he has held solo exhibitions at the Park Gallery, Toronto, the Roberts Gallery, Toronto, the Arts and Letters Club, Toronto, and a number of group shows. The Ontario landscape has interested him much although he is equally interested in general subject matter. 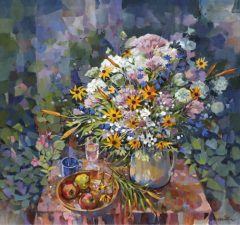 He has worked in oils and water colours and has developed special technique with the use of palette knife. 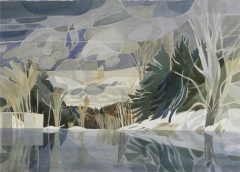 He received the Rolph, Clark and Stone Award at the Ontario Society of Artists Annual Exhibition during 1966, also the Honour Award of the Canadian Society of Painters in Water Colour, 1966. One of his landscapes was exhibited in the Fourth Biennial Exhibition of Canadian Art (1961). 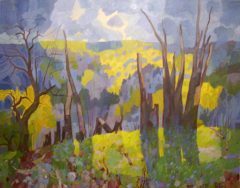 He is a member of the Ontario Society of Artists (1946; former Pres. ; also on exec. ); Canadian Society of Painters in Water Colour (1958; former Pres. ); and Royal Canadian Academy (A.R.C.A. 1960). He is represented in the following collections: National Gallery of Canada; The Art Gallery of Ontario; The Sarnia Art Gallery; The London Public Library and Art Museum; The Royal Bank of Canada; The Toronto-Dominion Bank; The Imperial Oil Collection and many institutions and private collections across Canada.